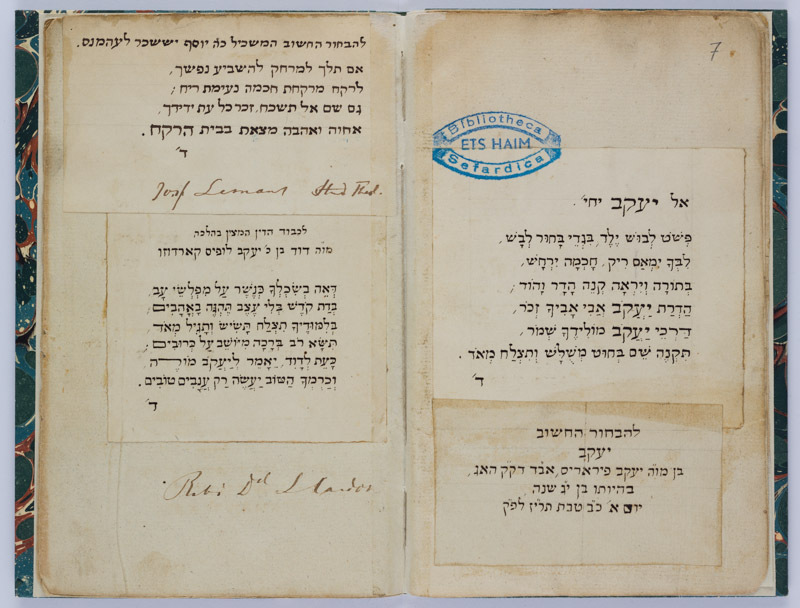 Collection of Hebrew laudatory poems by Abraham ben Daniel Delaville. Amsterdam, 1855-1859. Hebrew, and some Dutch / Paper / 16,1 x 9,9 cm. / 8 ff. / Square vocalised and rabbinic cursive writing (autogr.) / No title.